If you own a Kobelco SK135SR-1E, SK135SRLC-1E, SK135SRL-1E Crawler Excavator, this is a GREAT MANUAL TO HAVE Kobelco SK135SR-1E, SK135SRLC-1E, SK135SRL-1E Crawler Excavator Parts Catalogue Manual. This Kobelco SK135SR-1E, SK135SRLC-1E, SK135SRL-1E Crawler Excavator Parts Catalogue Manual pays much attention to practicality from the view point of users, and the content is reasonably arranged. No matter you are the end-user or distributor, or professional technician, we have perfect guidance for you. 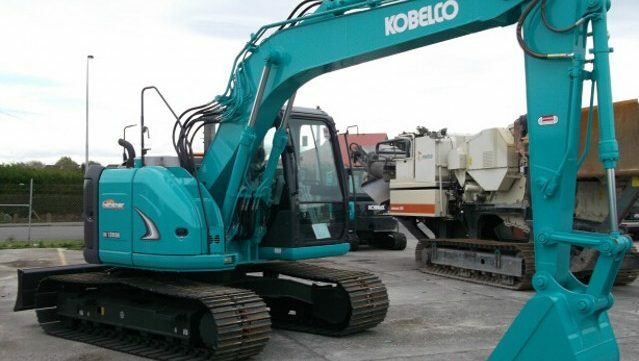 Purposes of This Manual are to let users of Kobelco SK135SR-1E, SK135SRLC-1E, SK135SRL-1E Crawler Excavator understand the construction, basic maintenance and repair of the Kobelco SK135SR-1E, SK135SRLC-1E, SK135SRL-1E Crawler Excavator product and professional major repair methods. To guarantee your safety and make the most use of your Kobelco SK135SR-1E, SK135SRLC-1E, SK135SRL-1E Crawler Excavator, please read the manual carefully. Only in this way, you could fully enjoy the fun of using.